This is not news: social media marketing has a 100% higher lead-to-customer turnoverthan traditional methods of outbound marketing. With such a high percentage, it’s no surprise that 84% of B2B marketers utilize social media in some form to promote their best-ranking strategies. No matter what you are trying to market or who you are trying to reach, using social media in your marketing strategy is essential to growing your brand. At this point in time, not being active on social media is basically a death sentence for your brand. Think of it like this: have you ever encountered brands on Twitter or LinkedIn who suddenly appear, announce their service or product and then disappear completely? It’s frustrating, irritating and will probably cause you to unfollow or disregard their message immediately. This is a bad habit that many brands, unfortunately, use on a regular basis. Since it’s so easy to send out content on social media channels nowadays, companies can easily get into a routine of sharing, sharing, sharing—so much so, that this technique turns into spamming. Marketers who are prone to spamming don’t realize the importance of actually being social on social media. It’s not called social media for nothing. Social channels like Facebook, Instagram and Pinterest are designed so that brands and marketers can engage with their networks in one concentrated place. Otherwise, the platforms would, quite simply, be plain old media. Would you ever walk into a crowded room at a conference, announce your product that’s for sale and expect people to jump at the offer? Of course you wouldn’t. The principles of social media are no different. If you think of social media as socializing without being in physical proximity to someone, then you should realize the value in discussing, sharing, listening and genuinely building relationships through focused, thoughtful interaction. This, in time, will result in that impressive lead-to-customer turnover that every marketer is seeking. One of the most obvious reasons to use social media is to boost traffic to your website. When you create a new post on your website—whether it be a new product feature or a blog post—you have to develop strategies for how to get the word out. Uploading the post and thinking you’ve optimized it won’t guarantee that it will reach any audience whatsoever. Instead, you need to use social media as your go-to advertising and marketing tool to generate traffic. Well-placed social media posts can make a massive difference in the lifespan of the product, feature or service you’re hoping to promote. According to marketing hub Shareaholic, social media is the #1 driver of all website referral traffic. With millions of videos, tweets, photos, shared links and articles created every day, there’s no reason why you shouldn’t be using these platforms to boost your website’s traffic, too. Plus, marketers who use social media actively and socially will also improve your website’s SEO—a huge factor in determining your ranking online. Search engine crawlers know which pages are earning consistent traffic versus the ones who are left floating in the Cloud with no page hits. With the help of well-designed social media posts, marketers can drive targeted audiences to certain pages and cause these pages to climb much faster to the top of search engine results pages. Part of what makes social media so powerful is the improved interaction with your customers, competitors and industry leaders. By following their channels, you will gain insights into their daily lives (and can even adjust your marketing strategy as a consequence)! What kinds of posts and stories do people in your network share? What types of posts do they respond to the most? Knowing this information is basically like doing market research. In turn, socializing on social media can make you a more thoughtful marketer and give you plenty of ideas for new campaigns. If you’re doing it right, using social media will lead to real relationship building, which is truly the end-goal of the platforms. Your presence can connect you with like-minded, non-complementary and contending businesses. Slowly, your network will blossom. The more you share and engage, the greater and more influential your brand will become. What’s more, being social on social media will make you more noticeable. Your brand presence can even boost your status at events, campaigns and other client engagements. A social media study by J.D. Power & Associates recently revealed that 87% of satisfied customers said their interaction with a company via social media “positively impacted” their likelihood of purchase. Clearly, your social media game matters to your audience, and giving them a trusted place to interact with your brand will lead to their satisfaction—and their support. In 2018, your Twitter handle or Facebook page is effectively your business card. Consumers appreciate when you listen to, engage with and understand their needs, and the best way to do that is by being social on social media. Brands with active social media channels have more loyal customers—it’s that simple. 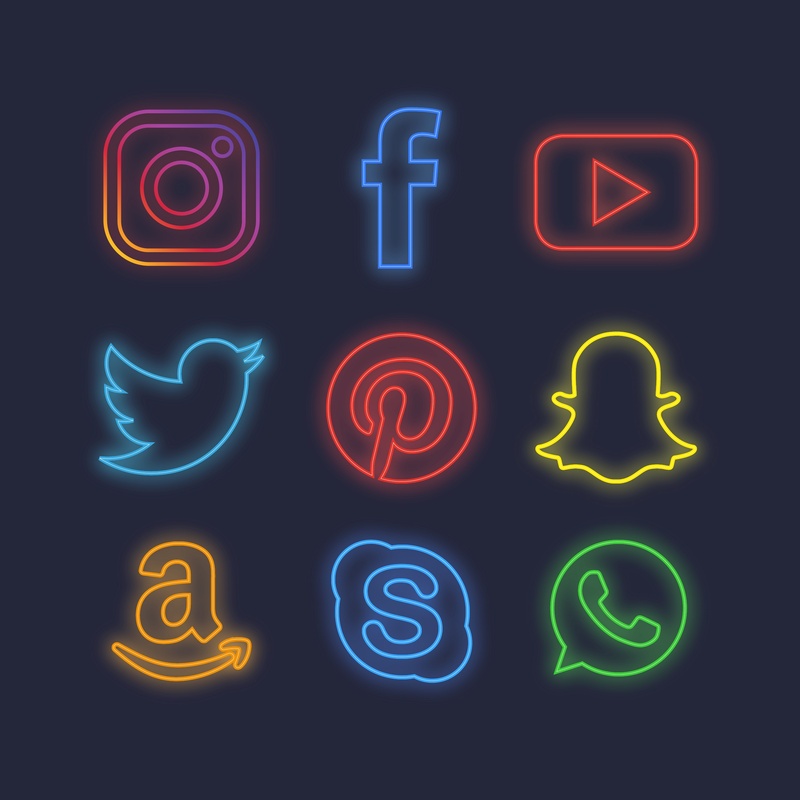 Don’t miss out on the many ways that social media can improve your brand and boost your customer acquisition and retention rates. It’s an equal playing field in the social marketing arena, so get out there and start sharing (and sharing thoughtfully).